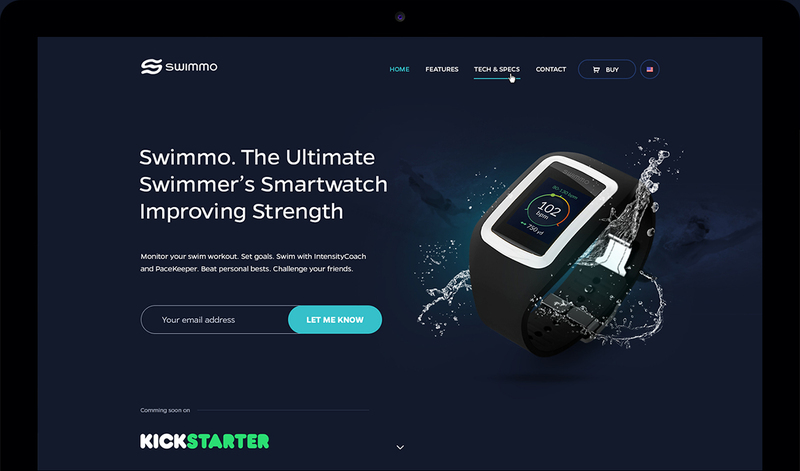 Meet Swimmo - The Ultimage Swimmer's Smartwatch Improving Your Strenght. 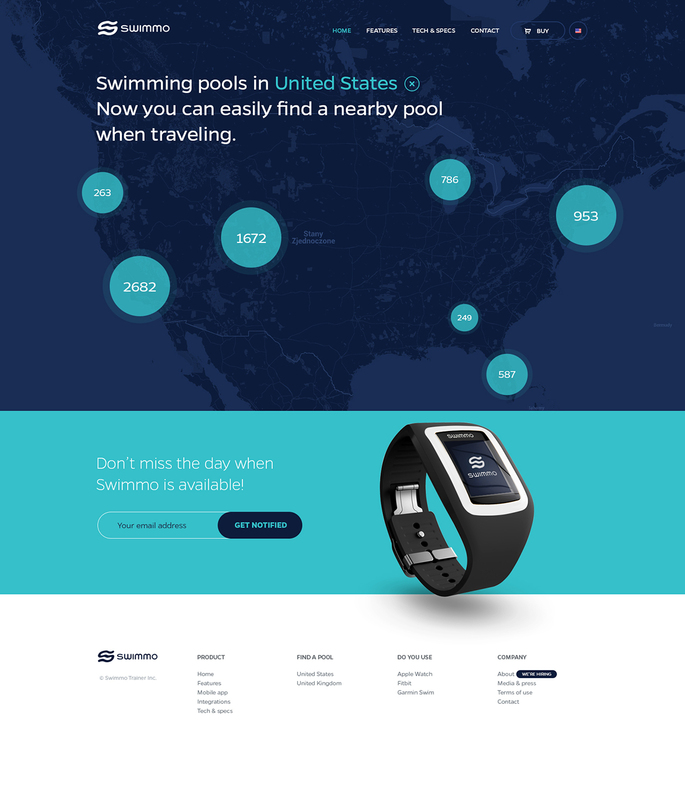 The world first saw swimmo when it premiered on the Kickstarter. 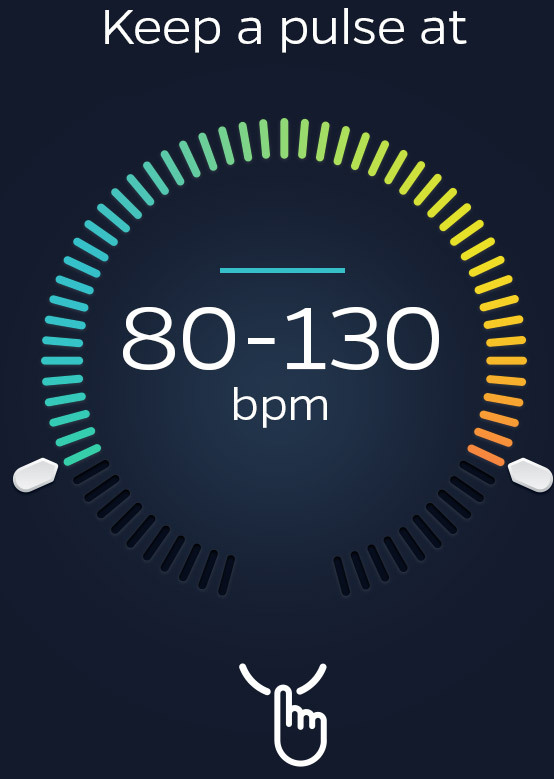 Even then, work on the device as well as the graphics are fairly advanced stages. 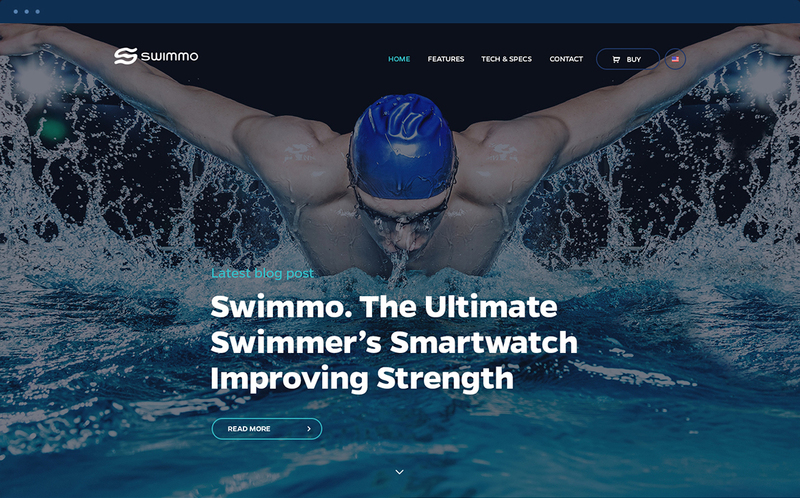 I was asked to join the team and the design image of Swimmo. 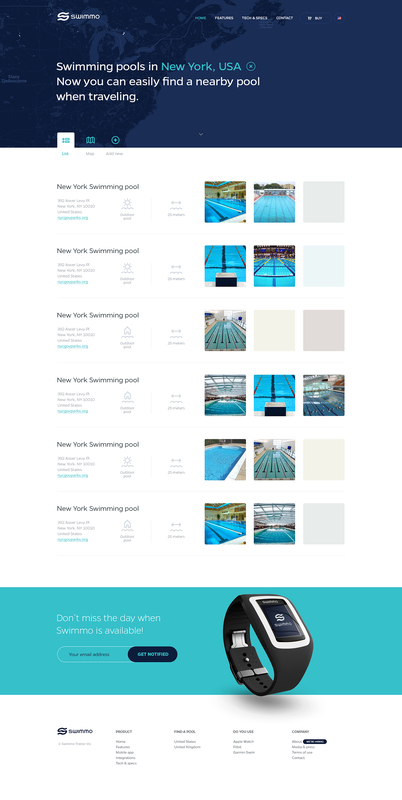 Starting from print materials, through the mobile application and ending on the Internet. 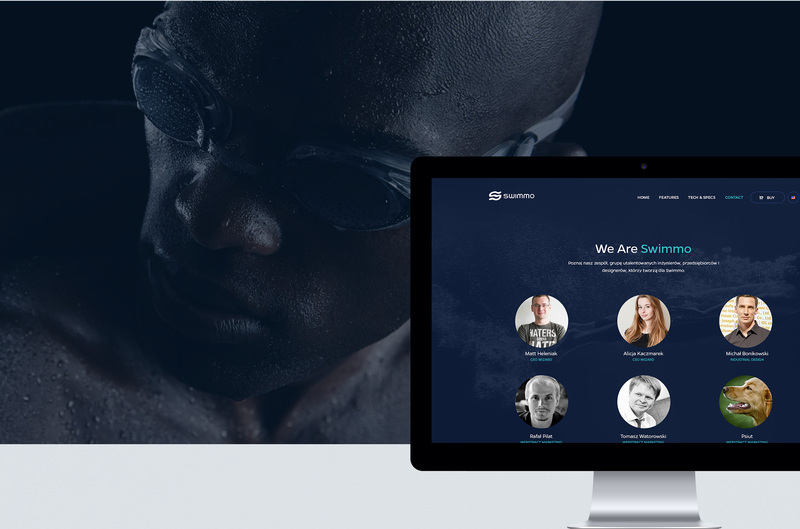 I was also actively involved in the preparation of marketing materials for the campaign on Kickstarter and social media. 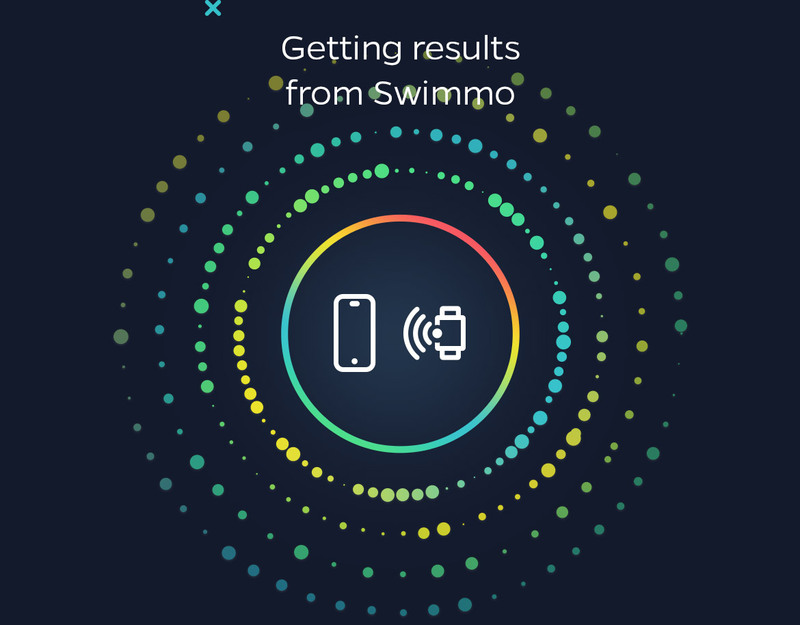 The mobile application is designed to process information received from the smart watch through bluetooth. 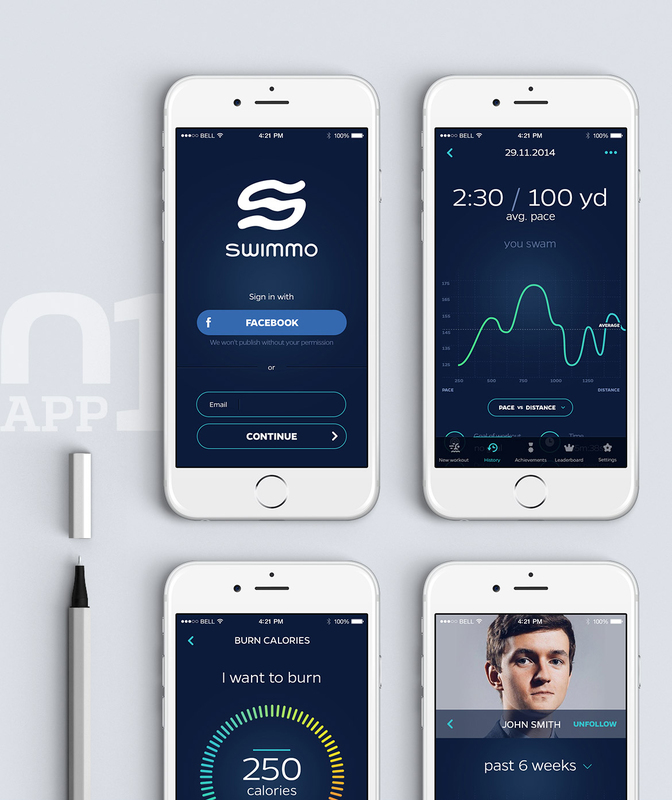 To do this, I designed a number of unique views, such as logging into the application, combining with the watch workout history, leaderboard, achievements, and many others. 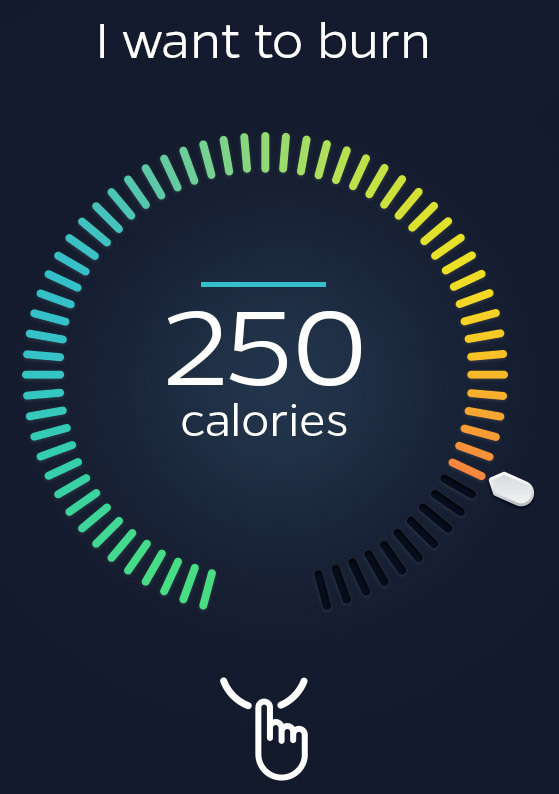 The most characteristic screens of all is to choose the number of calories to burn, maintaining a pulse and connecting to smart watch. 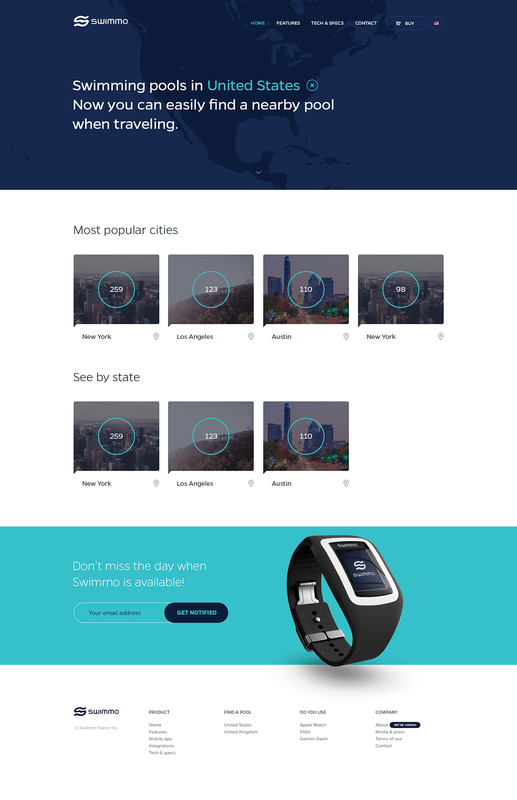 The total number of screens designed is 62. 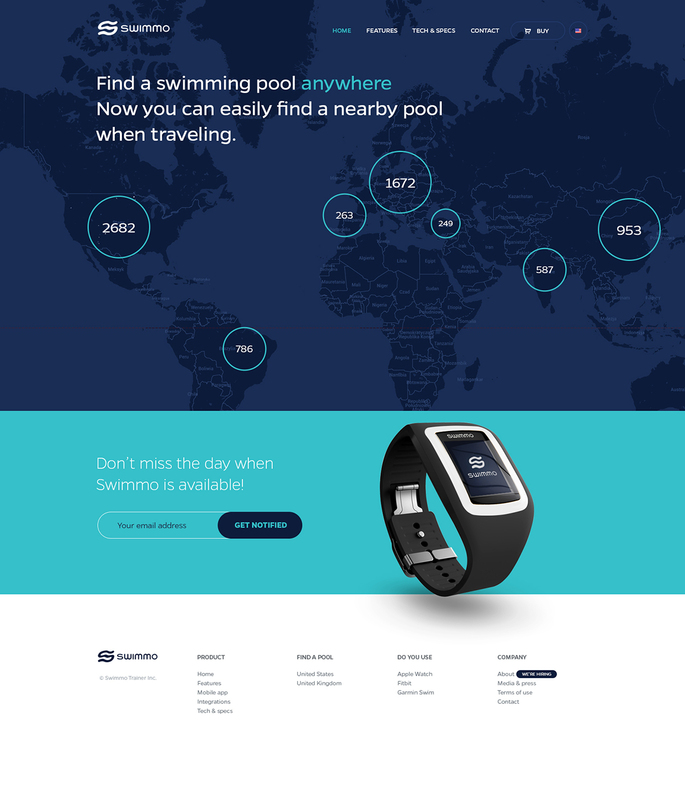 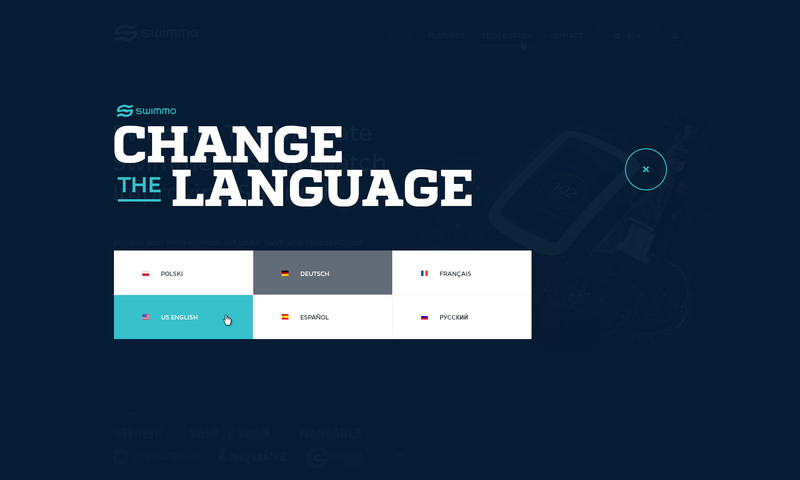 A simple but eye-catching website. 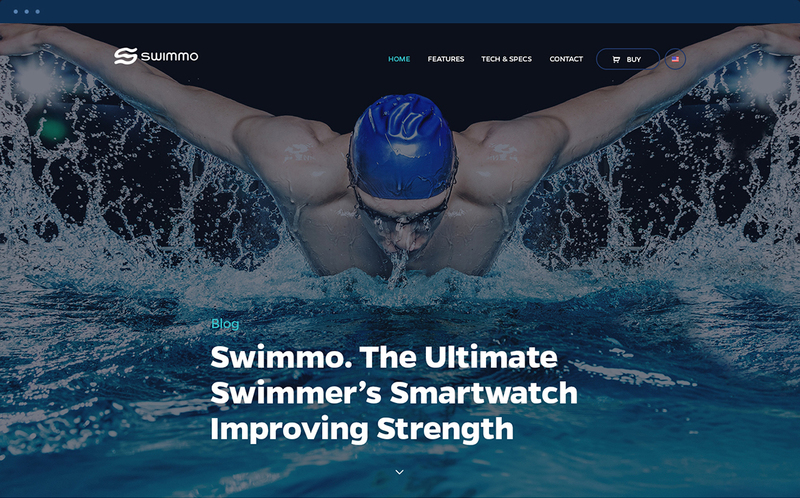 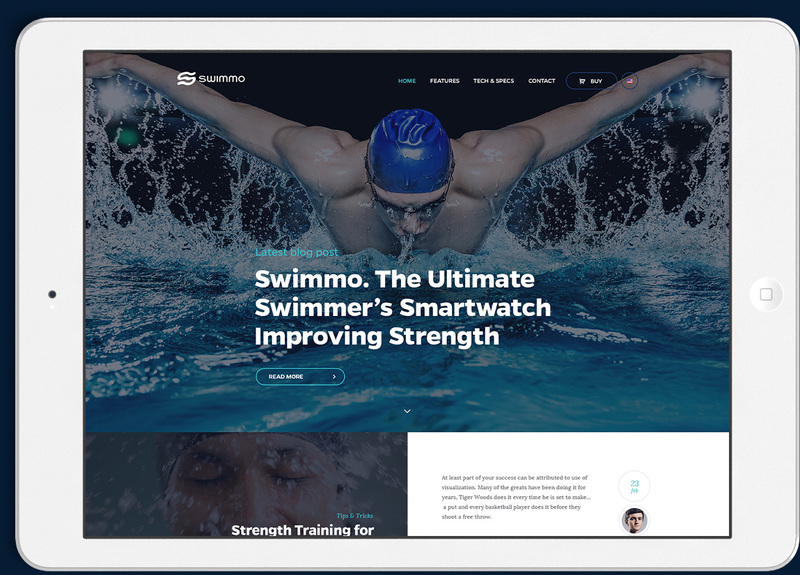 In this case, I tried to focus on the most important aspects of Swimmo smart watch and mobile application with a legible typography, concise information and big photos / graphics. 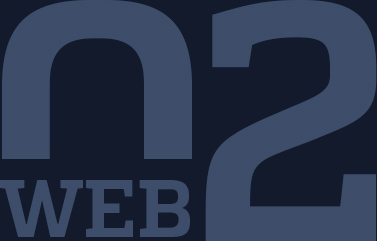 The website is still under development, will soon appear new pages and functionality.